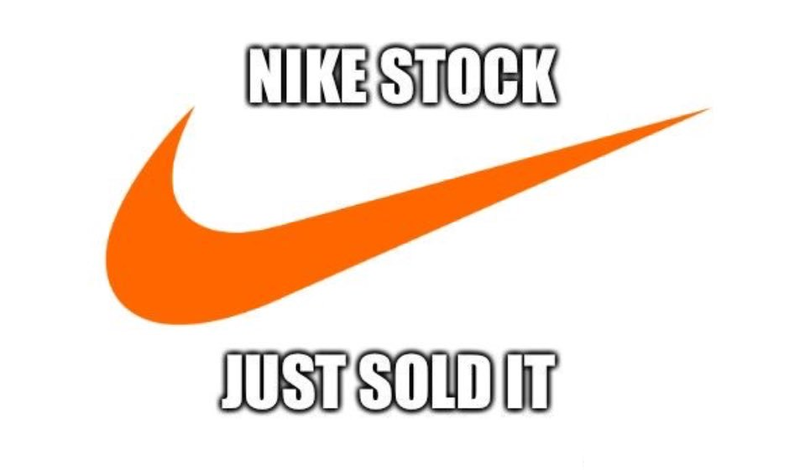 Nike Stock Loses $4 Billion As Boycott Effect Sets in - Just Sold It! Although the first social media reactions were indeed quite sarcastic, pointing out that burning your Nike gear would not really result in a loss for the company, the fact that many conservative voices decided to share their ‘sell’ orders of Nike stock online made sure the boycott which was called upon after the US sports company decided to honor NFL kneeler Mr. Colin Kaepernick as someone who had sacrificed everything in their new ad, met a following and cost Nike some $4 billion thus far. Mr Kaepernick, who is mostly blamed by NFL fans for starting the hype of players kneeling during the playing of the national anthem (in order to point out racial injustice), a move that has turned many lifelong patriotic fans away from the sport, is featured by Nike as someone who ‘believes in something, even if it means sacrificing everything’. Related coverage: <a href="https://thegoldwater.com/news/36047-Angry-Fans-Burn-Their-Nike-Products-In-Protest-Of-New-Kaepernick-Ad-Campaign-Video"> Angry Fans Burn Their Nike Products </a>. Nike, in response to the social media backlash, claims it ‘wants to showcase athletes who have overcome struggles’ but the US reaction to his inclusion in the new ad was probably a bit too overwhelming for them to handle immediately. It turned into a true financial loss when former actor Mr. James Woods shared a screenshot of his ‘sell Nike stock’ instruction to his broker online, an action soon copied by others. Conservative strategist Mr. Chris Barron said that the company’s decision was “a truly baffling move” apparently taken at a time when the NFL is “desperately trying” to move on from the anthem issue.